Our grandiflora will definitely not be flowering this year, has suffered from lack of water.....keep forgetting where it is lol!! See who else is growing Magnolia grandiflora 'Exmouth'. 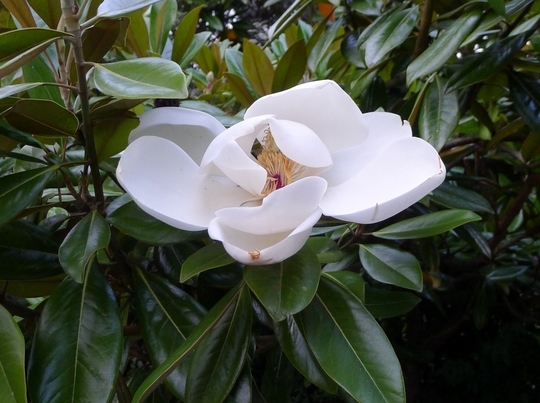 See who else has plants in genus Magnolia.